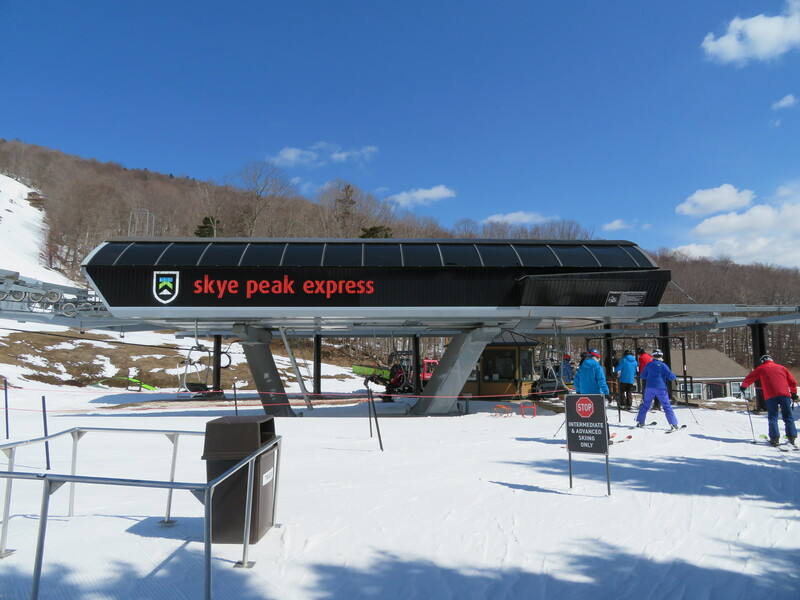 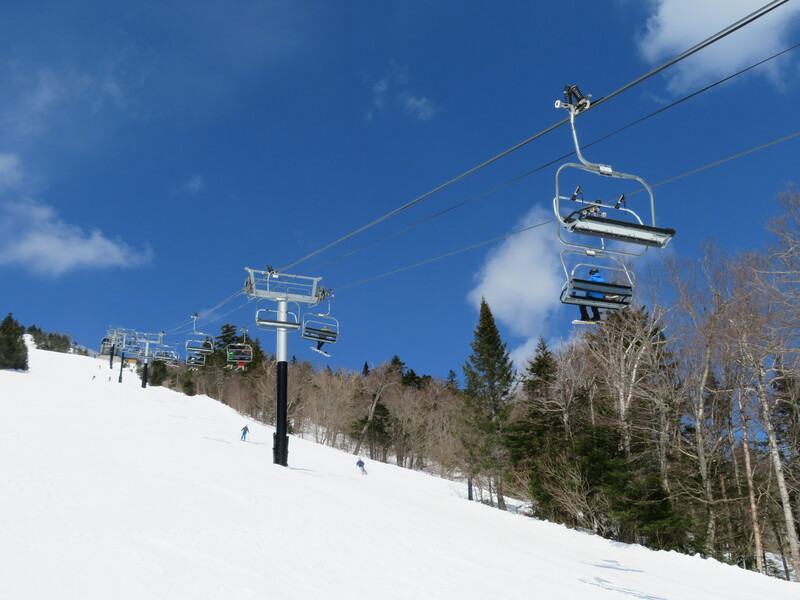 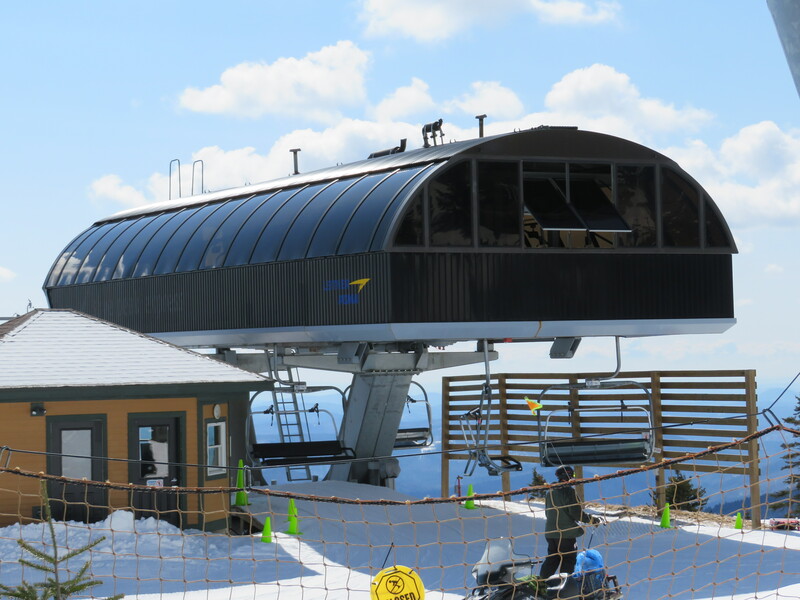 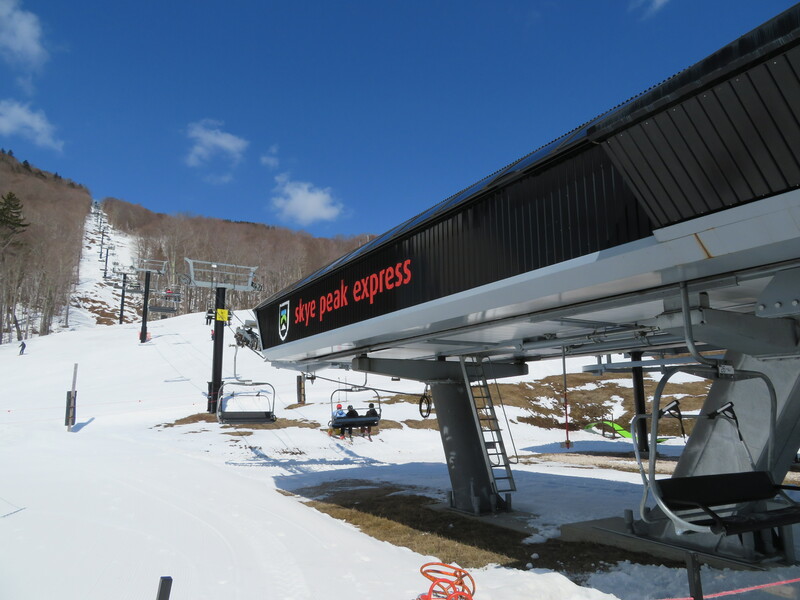 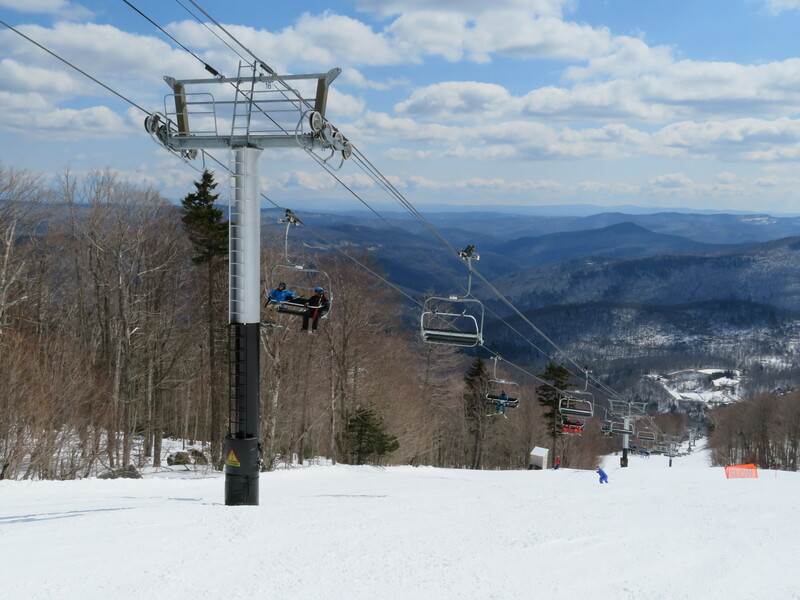 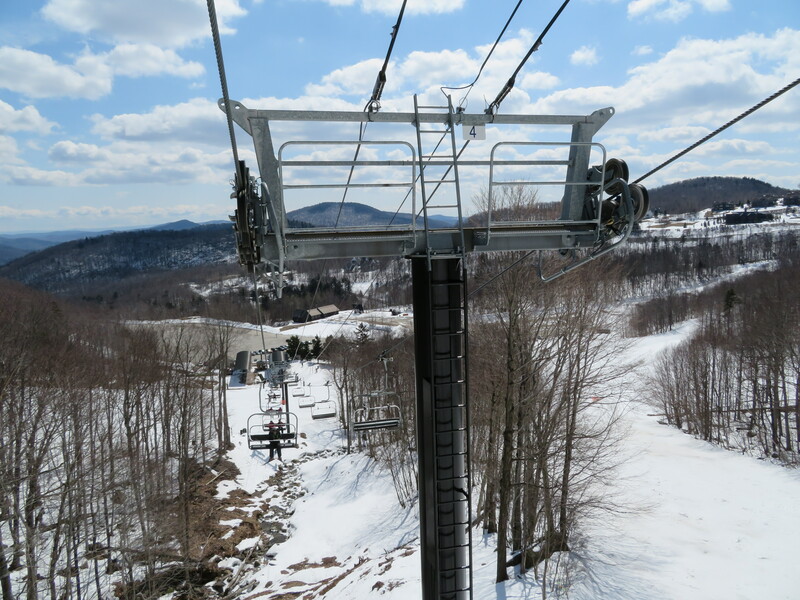 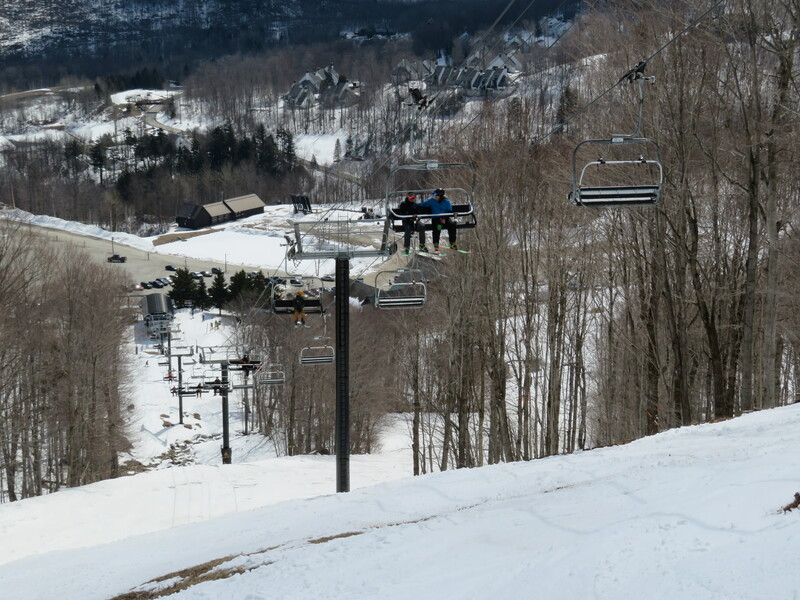 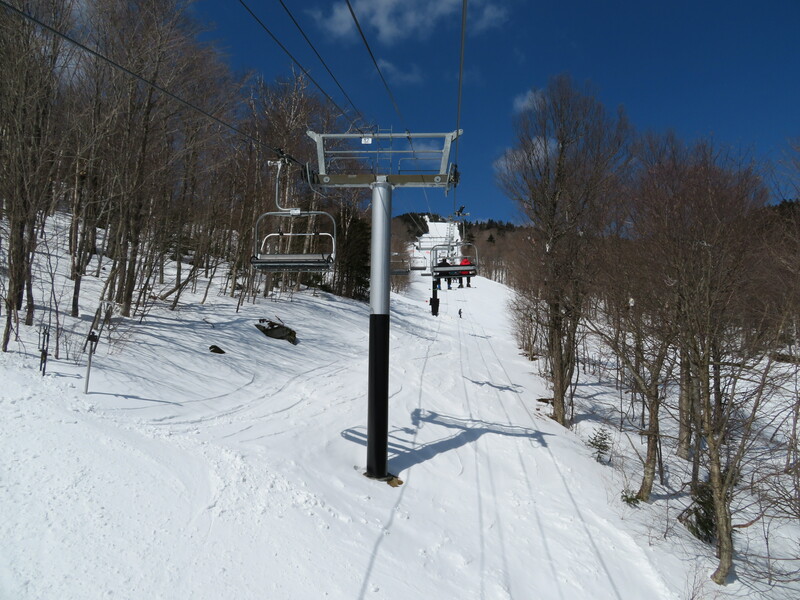 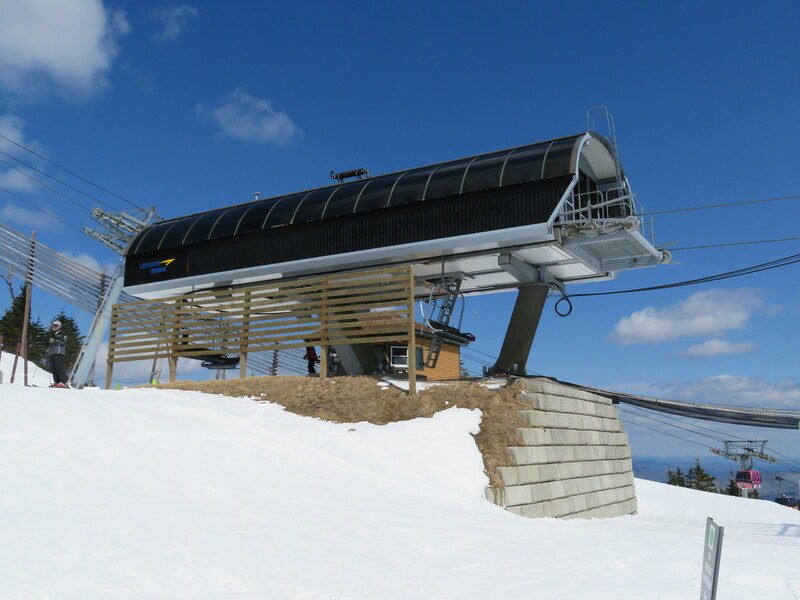 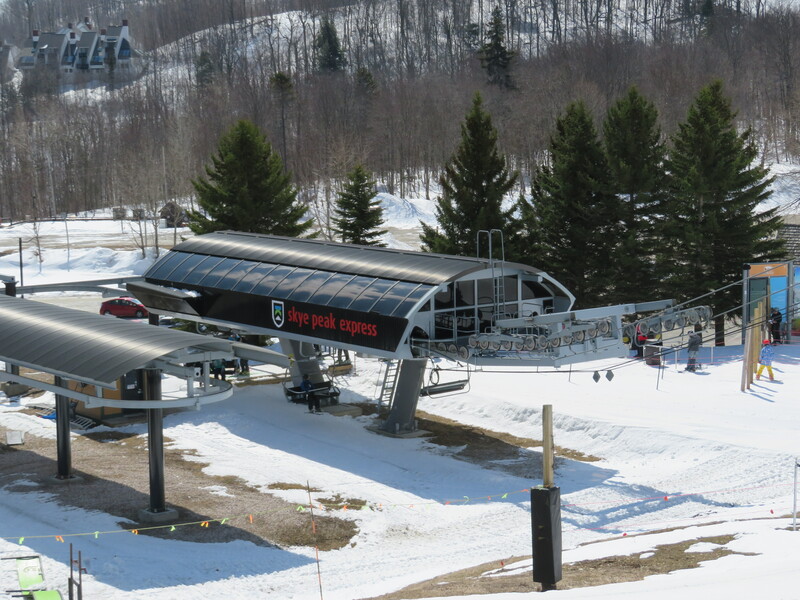 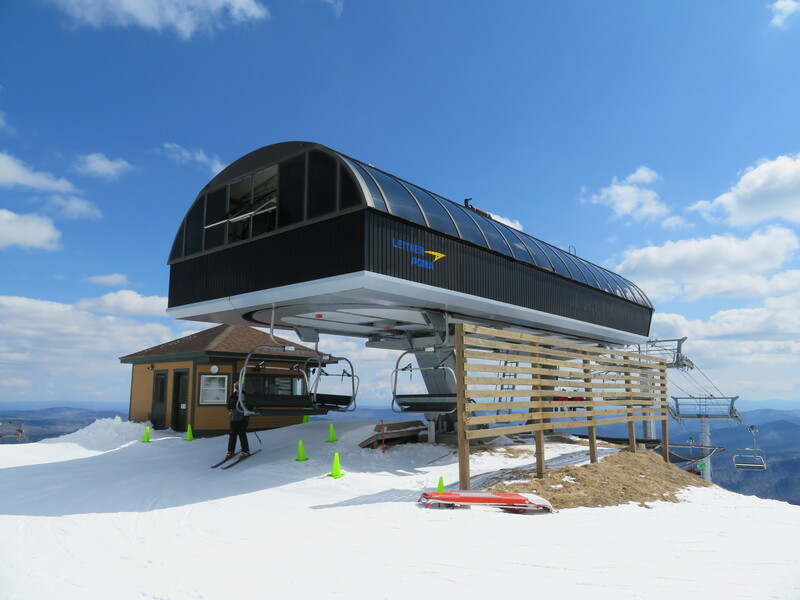 The Skye Peak Express was the first lift Powdr built upon buying Killington and replaced a Yan fixed-grip quad. 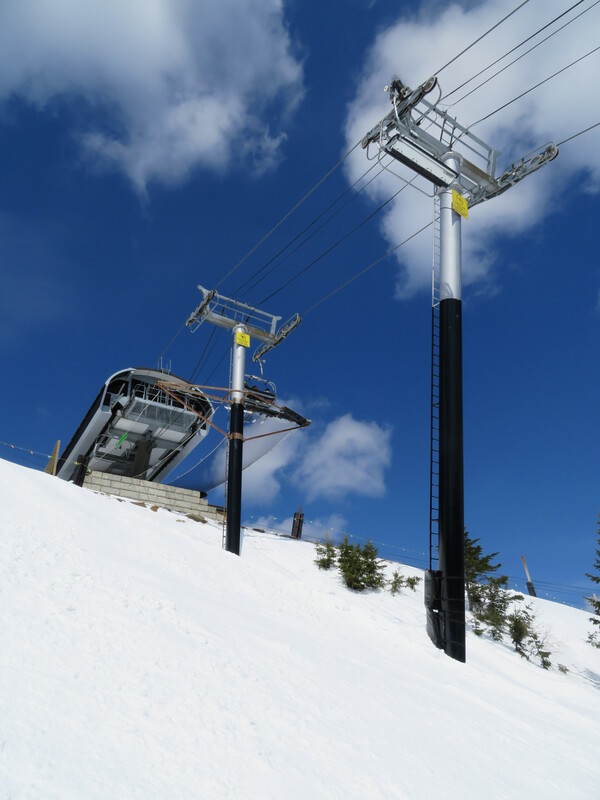 View up from the base. 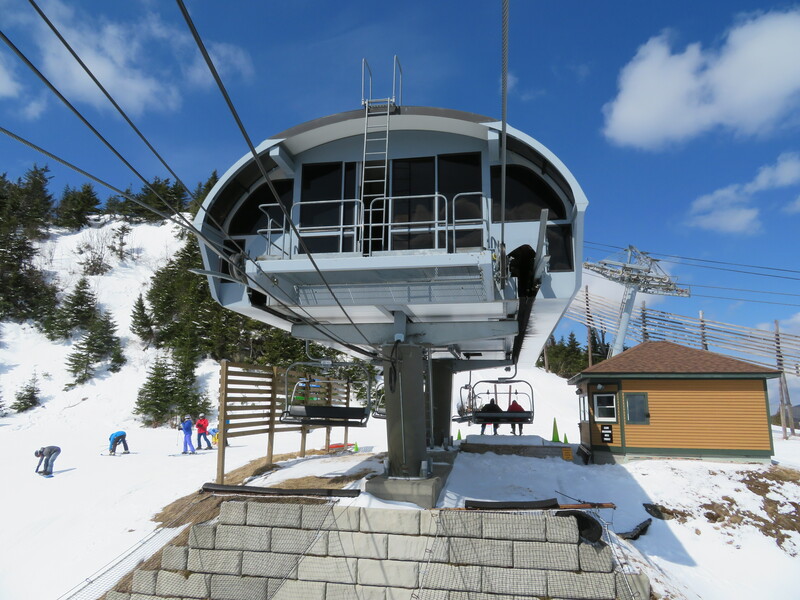 Some tower tubes were reused from the previous lift. 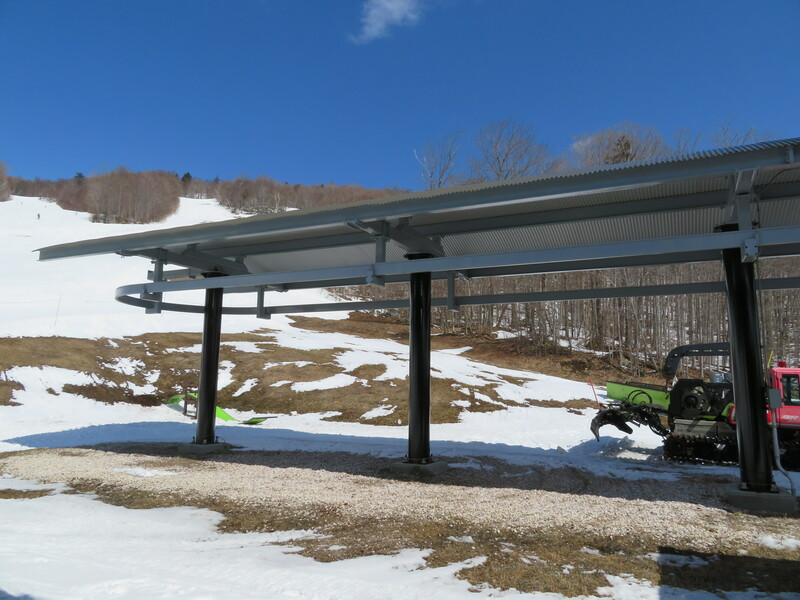 Combo assemblies on tower 4. 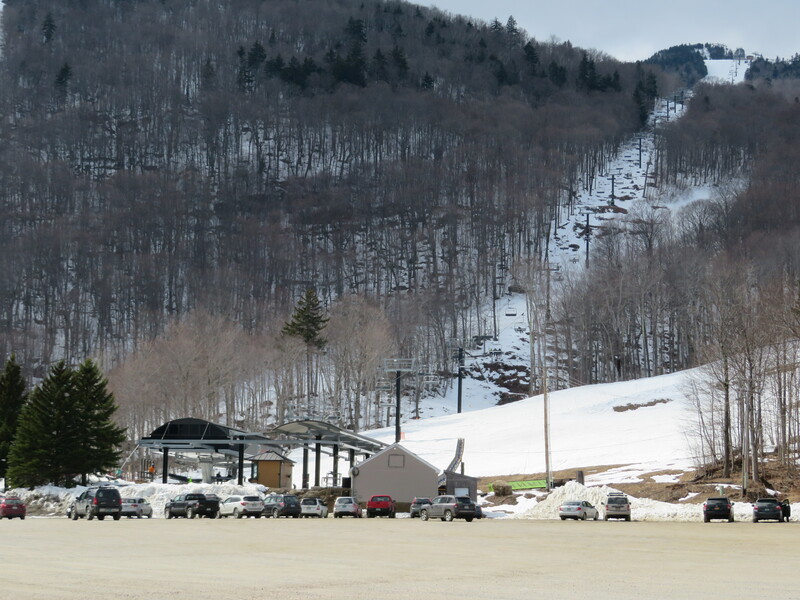 Arriving at the drive. 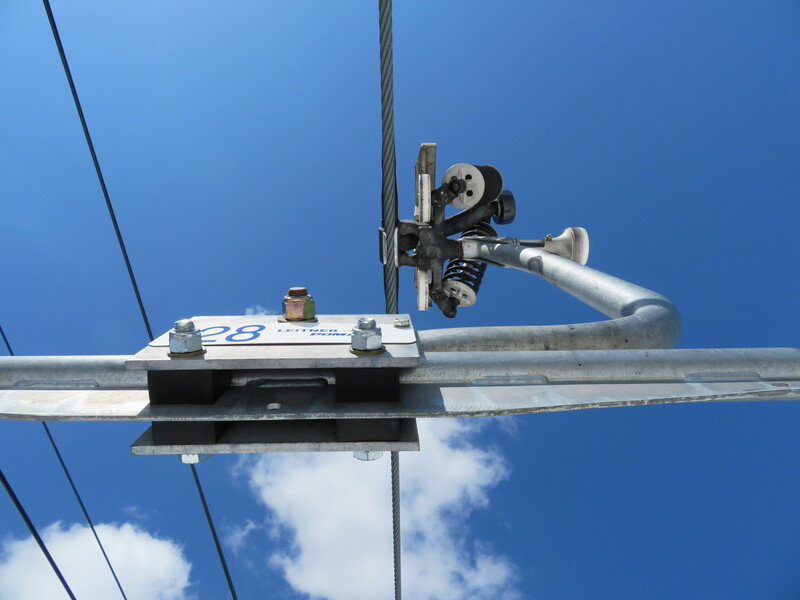 Not it is taller than the return terminal. 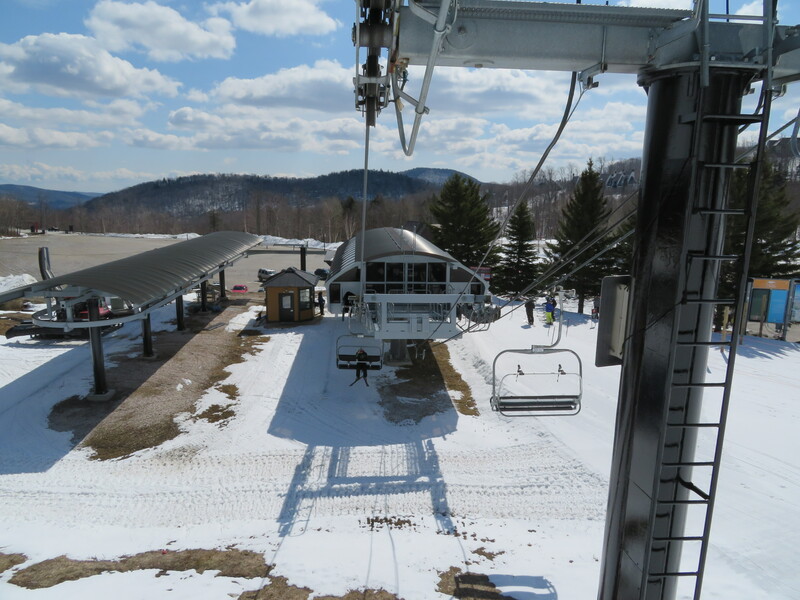 Another part of the long lift line. 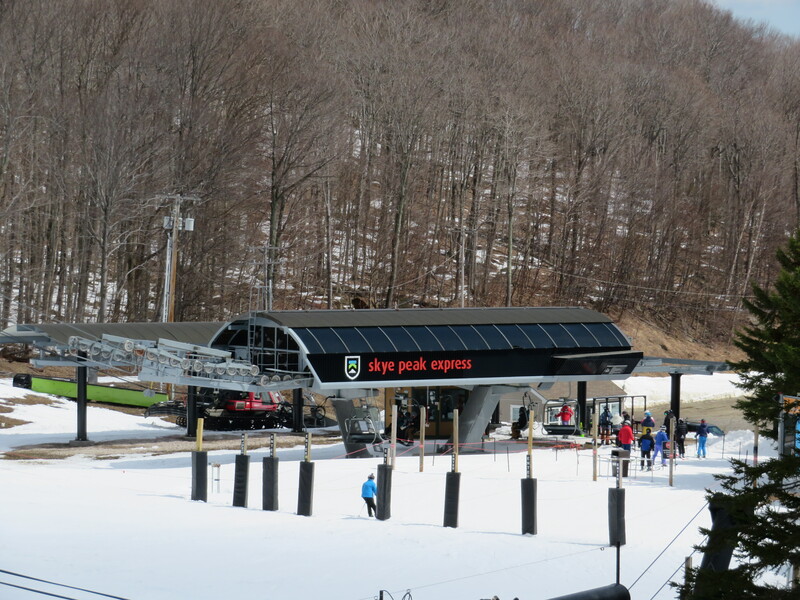 Bottom station seen from Bear quad.